Neil Gaiman's latest book is so good it's already being turned into a film, and it's not even out yet. Together with illustrator Lorenzo Mattotti, Gaiman has turned the fairy tale classic Hansel and Gretel into a graphic novel, and now Hollywood is turning that into a movie. Variety is reporting that producer Juliet Blake from the The Hundred-Foot Journey has purchased the rights to Gaiman's latest book, and she has plans to adapt it into a live-action film. I know what you're all thinking,; the last Hansel and Gretel movie (Hansel and Gretel: Witch Hunters) was sheer cinematic perfection, and you're right. But let's give Gaiman's work a try — not all movies can have two beautiful semi-well known actors in leather blowing up witch heads over and over again. 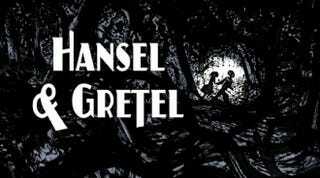 Hansel & Gretel (the graphic novel) will be released on October 28th.